Kenneth Alan Florian was born on 26 May 1976, in Westwood, Massachusetts USA, of Peruvian, German, Italian, Spanish, French, and Armenian descent. Kenny is a retired mixed martial artist, best known to have competed in the Ultimate Fighting Championship (UFC). He has defeated numerous high profile fighters though has never held a championship belt. All of his efforts have helped put his net worth to where it is today. 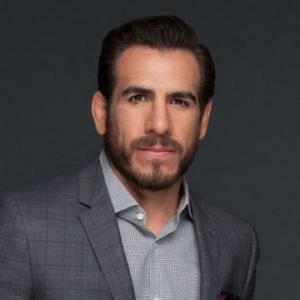 How rich is Kenny Florian? As of early-2017, sources estimate a net worth that is at $3 million, mostly earned through a successful career in mixed martial arts, in which he competed in numerous weight classes. He currently serves as an analyst and commentator for various TV networks, and as he continues his endeavors it is expected that his wealth will increase. Florian attended Dover-Sherborn Regional High School, and during his time there was a noted soccer player. After matriculating, he attended Boston College and played for the school’s varsity soccer team which is part of NCAA Division 1. After graduating, he turned his interests towards mixed martial arts, and would then study Brazilian Jiu-Jitsu, earning a black belt from Prof. Roberto Maia. In 2003, Kenny made his debut at Mass Destruction 10 and would defeat his opponent with a TKO 3 minutes into the first round. He continued this run with another victory in a fight against Bobby McAndrews, submitting him with a kimura. He would suffer his first defeat against Drew Fickett and the match would get Dana White’s attention. Dana would then invite Florian to become part of “The Ultimate Fighter”. He joined the first season of “The Ultimate Fighter” as a middleweight, and made it to the finals before losing to Diego Sanchez. He returned in the “Ultimate Fight Night”, defeating Alex Karalexis through a vicious elbow across the nose. He then went on to fight Kit Cope and won via a rear naked choke submission. He defeated Sam Stout at “The Ultimate Fighter 3 Finale” earning him a title shot. In 2006, he fought against Sean Sherk for the UFC Lightweight championship but lost via unanimous decision. The following year, Kenny would come back and defeat Dokonjonsuke Mishima using a rear naked choke, and a few months later would fight Alvin Robinson at UFC 73 and would win. In 2008, he fought Joe Lauzon and would win through a TKO in the second round. He then defeated Roger Huerta and Joe Stevenson in his next two fights. He had another title opportunity against B.J. Penn during UFC 101 but lost through a Rear Naked Choke submission. His next fight would be against Clay Guida which he would win, and he also defeated Takanori Gomi at UFC Fight Night 21 using a rear naked choke. In 2010, he fought against Gray Maynard which he lost, but the following year, he would gain another title opportunity for the UFC Featherweight Championship against Jose Aldo, but was defeated by unanimous decision. In 2012, Kenny decided to retire after doctors advised him to do so. After retiring, Kenny became the co-host of the ESPN show “MMA Live” and would also fill in the commentary section for various UFC events, and is also a commentator in the series “Battlebots”. For his personal life, it is known that Florian married model Clark Gilmer in 2014, and they live in Los Angeles. In 2016, he reported that his younger brother was missing – he was later found dead, having committed suicide at the age of 33.